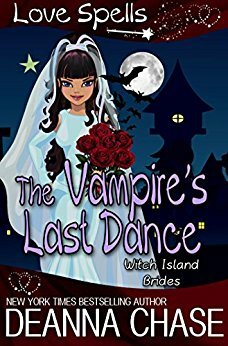 Introducing Love Spells - Get your Laugh Out Loud Paranormal here! She’s a witch who carries a family curse, destined to never get her happily ever after. Felicia Patterson has come to terms with the fact that she’ll never get to be with her one true love… whoever he happens to be. But when the sexiest vampire she’s ever seen walks onto Witch Island, she can’t help her fluttering heart. This is the first book in a new series . I was so excited to see that this author has written a new series and I couldn't wait to dive into it . Let me introduce you to Felicia Patterson a witch and a magical florist on Witch Island . Who has been cursed and is resigned to the fact that she will never ever find her true love . Until the day Christoph Parks walks into her shop and her life . Will they come together or will the family and the curse get in their way . This is more of a novella length then the authors other books . I love novellas for a quick fun read, which this one is . The author takes us on a fun filled romp that will keep you reading all night long . There is a scene at the beginning of the book that had me spitting tea it was so funny. Now those would be the best bouquets for a bachelorette party ever . This is the lighter side for this author . It is funnier and lighter then her other books . The only thing I wish it was just a little longer so we could see the love blossom more between Christoph and Felicia . Other then that I loved this book and can't wait for the rest of the books that will come out for this series .